There are a lot of ways to knit for a good cause. You can make items for the homeless, donate chemo caps to cancer centers, make hats for preemies, or give blankets and other items to animal shelters. We’ve collected several free, simple patterns that would lend themselves easily to being donated. The Avery Slouch hat by Melissa Schaschwary is a simple stockinette hat with a rolled brim. Worked in a bulky weight yarn like Stylecraft Special Chunky, it’s a quick enough knit to make several as chemo hats or for the homeless. This Slouchy Hat is as basic as you can get, making it a great choice for speedy knitting. It’s written for adults, but the pattern could easily be adjusted to make hats for kids to donate to a hospital or cancer center. Use any worsted weight yarn, like Plymouth Yarn Encore Worsted. This preemie hat is a wonderful choice to knit hats for the smallest of the small. This free pattern was featured in the popular Knit by Bit feature here on the blog! The High Line Hat by Janet Harvey can be adjusted to fit a variety of sizes. It works in a worsted or aran weight yarn, like Cascade 220 (note: if you are planning to donate chemo caps, check with the recipient for any restrictions on fibers), and the stitch pattern is simple but keeps you from getting bored. Stepping Stitches by Annie Claire is a beautiful but simple scarf that can be made and donated to homeless shelters or anyone else who needs to keep warm. The design can transcend age and gender, and works in any worsted weight yarn, like Universal Yarn Classic Worsted. The Simply Ribbed Scarf by Grace McEwan is another great option for a basic charity scarf. It can work in any weight of yarn, using the needle size recommended by the brand, but would work great in a worsted like Bernat Satin or Lion Brand Wool Ease. The Diagonal Comfort Blanket is extremely easy to make, using garter stitch and working on the diagonal to increase and decrease. Worked in a washable cotton like Lion Brand Cotton Ease, it would be great to donate to an animal shelter to keep dogs and cats comfortable. The Hug From Home Throw is another option for a blanket to donate. Use Classic Elite Yarns Liberty Wool to make this, which has some visual interest with the cables, but is simple enough to make a few and donate. What’s your favorite item to knit for charity? Tell us in the comments! 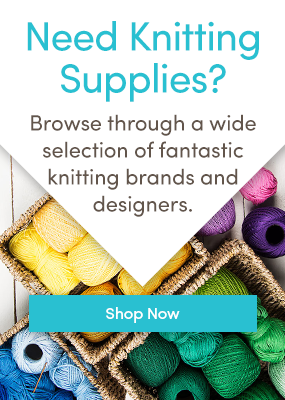 Want more free knitting patterns for charity? Follow us on BlogLovin’ and never miss a post! Last updated: February 16th, 2016.